A sign on Route 3 opposed to the planned Northern Pass, a massive transmission project from Quebec to Southern New England. By picking the Northern Pass project to import electricity from Canada just last week, the Baker administration gambled that officials in New Hampshire would support building 192 miles of transmission lines across their state. That bet turned out to be badly misplaced. In a surprise move, the New Hampshire Site Evaluation Committee voted unanimously Thursday to deny a certificate to Eversource Energy, the Boston utility developing Northern Pass. Committee members cited concerns that giant towers and wires strung across the state’s rural landscape would be bad for the tourism economy and depress real estate values in their path. The vote appeared to have caught both Eversource and the Baker administration off guard, as a decision by the committee wasn’t expected until late February. It’s unclear what happens next, as this is the first time the state has overseen energy bids of this magnitude. Eversource has pledged to push for reconsideration of the decision, saying the vote failed to comply with New Hampshire law and did not reflect the evidence presented during deliberations. There are other developers that have bid to supply Massachusetts utilities with clean energy, including through a power line in Vermont that would also bring electricity from Quebec and which has wide support in that state. Others bidders have proposed to import Canadian power via Maine. The Baker administration oversaw a bidding process triggered by a 2016 state law that requires utilities to buy large amounts of clean energy. The legislation, among other things, would help the state meet its ambitious goals to significantly lower carbon emissions by 2050 by replacing electricity from fossil fuels with power from hydro, wind, and solar sources. A selection committee that included officials from Eversource and two other utilities in Massachusetts and members of the Baker administration settled on Northern Pass, which would transmit more than 1,000 megawatts to Massachusetts from Hydro-Quebec. Eversource had argued that its $1.6 billion project was further along than those of competitors for the Massachusetts clean-energy contracts and could be completed by the end of 2020. In expressing support for Northern Pass, Baker administration officials said it had the highest likelihood of bringing the most electricity, and at the earliest date. The utilities were expected to submit the power contracts they negotiate to the state by the end of April. But Northern Pass was controversial in New Hampshire from the start, and regardless of the optimism in Massachusetts, the project was going to face intense, organized opposition. In 2015, Eversource agreed to put about one-third of the project underground, primarily in the White Mountain National Forest area, but that did little to placate critics, who said the project, with towers as high as 125 feet, would mar the New Hampshire landscape. “Today’s decision is proof that grass-roots voices matter,” a group called Protect the Granite State said in a statement that contended “Northern Pass will irreversibly harm our state, our economy and our way of life.” But the organization also expressed caution, anticipating that Eversource will fight to overturn the vote. Many environmental groups also were against it, and they too cheered Thursday’s turn of events. “Northern Pass has bullied its way through this process, and today’s decision says loud and clear that the people of New Hampshire won’t stand for it,” said Melissa Birchard, a lawyer for the Conservation Law Foundation. Another key voice in the process is Massachusetts Attorney General Maura Healey, who is scheduled to review the contracts. A spokeswoman for Healey said that Massachusetts should at minimum reconsider the Northern Pass selection because of the impact the New Hampshire vote will have on its timetable. However, it was not clear that the Massachusetts panel that selected Northern Pass in the first place had a runner-up. 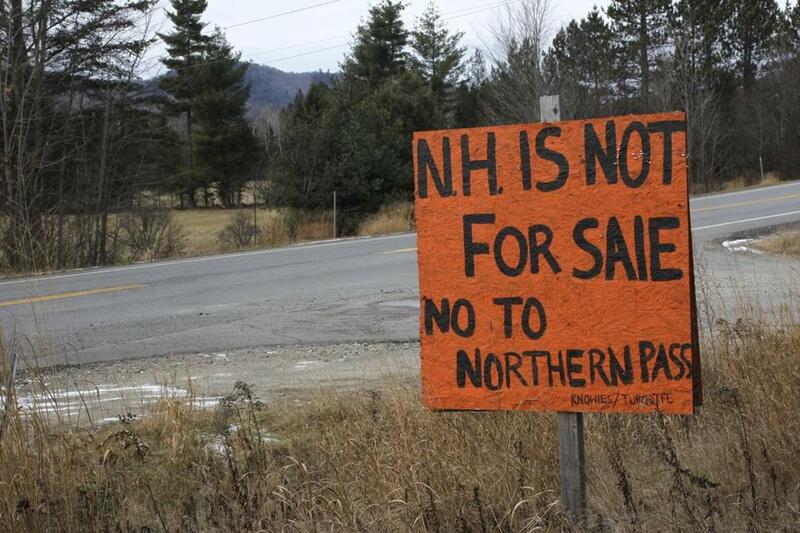 The rejection of Northern Pass could give hope to its rivals, though. Shortly after the New Hampshire vote, one of the competitors, Connecticut-based Avangrid, issued a statement saying its $950 million power line project through Maine is on track to start construction by mid-2019.